The non surgical treatment, Prostate Artery Embolisation (or PAE) can relieve urinary problems associated with Benign Prostatic Hyperplasia without major side effects in the long term. BPH is an enlarging of the prostate and one of the common prostate problems in men older than 50. This short video explains BPH in a concise and easily understandable manner. PAE is a non-surgical way of treating an enlarged and troublesome prostate by blocking off the arteries that feed the gland and making it shrink. It is performed by an interventional radiologist, rather than a surgeon, and is an alternative to a TURP (trans urethral resection of prostate) operation and oral medical treatment. PAE is a minimally invasive treatment for BPH and can be performed in a day case procedure in an angiography suite. Because PAE is not surgery — like other BPH treatments — patients require less time for recovery and, in most cases, can return home just a few hours after the therapy. 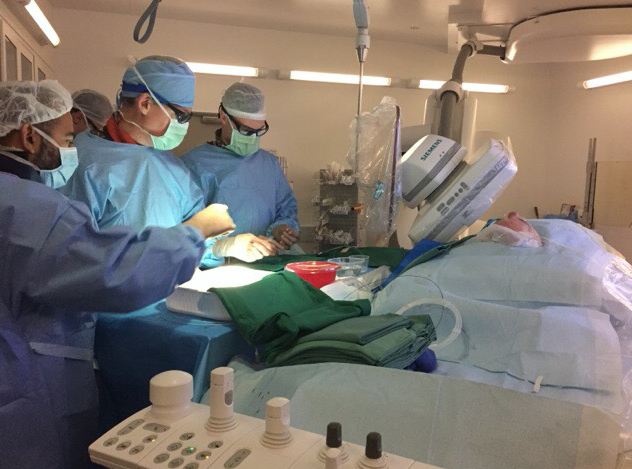 After attending the Prostate Artery Embolisation workshop in Brisbane in March, Dr Sanjay Nadkarni flew to Sydney with one of his patients from Perth who travelled specifically for treatment of Benign Prostatic Hyperplasia. 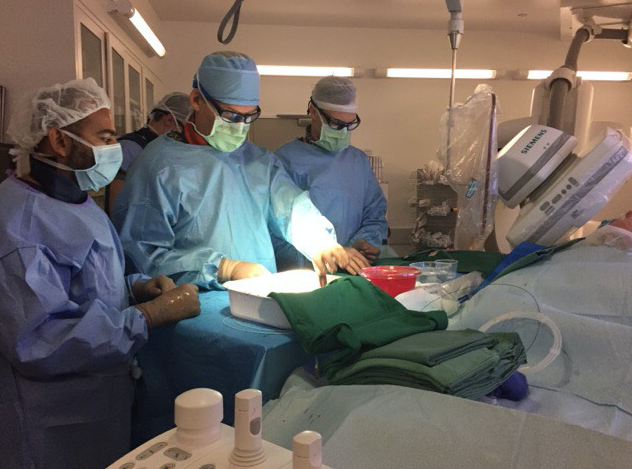 Dr Nadkarni, along with Interventional Radiologists Dr Glen Schlaphoff and Dr Jules Catt from Liverpool Hospital, successfully performed a Prostate Artery Embolisation on the patient who was very pleased with the results and minimal down time post procedure. If you have any queries regarding this condition or procedure, please don’t hesitate to contact our practice for a consultation with Dr Nadkarni on 08 9284 2900 for more information.